Gently purify your complexion and restore moisture levels for beautifully balanced skin. Suitable for all skin types. Wake up to hydrated, radiant skin with this rich, luxurious night-time moisturiser. 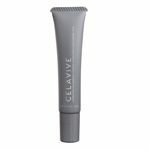 Ideal for dry or sensitive skin types.